The Board retains discretion to set the salary of each supervisor on an annual basis, which amount shall then be specified in the employment contract. The supervisors shall have such benefits as specified in Board policies. 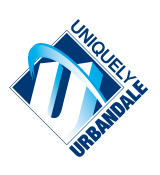 The supervisors employed by another organization to work at the Urbandale District shall have such salary and benefits as set by the organization and shall not be entitled to salary and benefits from the District.